The Hopi tribe is one of the most respected and revered groups of people in the American Southwest. The translation of the word Hopi is believed to mean a person who behaves in a peaceful way. Throughout history, Hopi tribes' people have also made some of the most beautiful and intricate Kachina dolls. Today's Hopi Kachina dolls pay homage to the artistry and creativity that has been handed down for generations. We carry the finest Hopi Kachinas in the world. The Hopi Tribe is a sovereign nation that occupies northeastern Arizona in both Coconino and Navajo Counties. Hopi Kachinas have been made for a number of reasons throughout the years, including as a way to pay homage to Maasaw, an ancient caretaker of the earth. The word Kachina itself is used mostly by outsiders to describe the hundreds of spiritual entities that play an important role in the religious and cultural life of the Hopi Tribe. Our Hopi Kachinas capture the same artistry and respect for spirituality. The quality of materials pays homage to those first Kachina dolls obtained by traders in the 19th Century. Since that time, outsiders have continually been inspired by the rich Kachina dolls history. Many Kachina dolls are constructed from cottonwood root and even today, carvers travel far and wide to find the perfect material. Yet many of today's Kachina doll makers use a variety of wood from all over the United States. Nonetheless, the highest care is taken by artists to ensure they are using the best carving wood available. The carving itself involves a number of hand tools needed to provide the immaculate details and shapes Hopi Kachina dolls have become famous for. 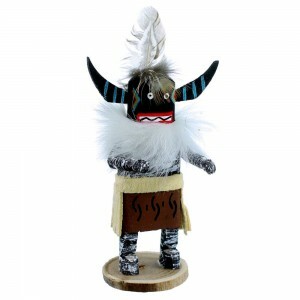 A skilled Kachina doll maker can produce stunning and detailed carvings, like those you will find on our site. 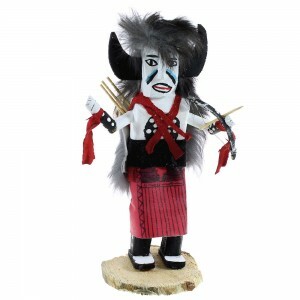 Our Kachina doll makers are well known for producing the highest quality products available. Customers from all over the world seek out our dolls. They are truly the ultimate addition to your art collection. 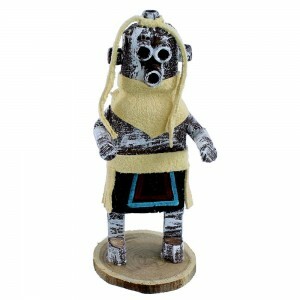 The hand-carved and hand painted Hopi Kachina dolls are produced with the highest standards of artistry and longevity. Even the objects you'll see in the hands of our Hopi Kachina dolls are individually designed and decorated, from bows, staffs and other items. Every detail of our Hopi Kachina dolls are carefully planned and executed by one of our skilled artists. The diverse Kachina dolls history can be traced back hundreds of years across several tribes, including the Zuni and Pueblo tribes. 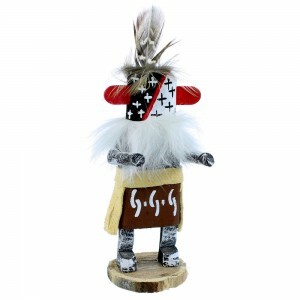 Many believe a Kachina doll can represent any being in the natural world or the supernatural realm. There are at least 400 different Kachinas that hold cultural and spiritual value in the Hopi and Pueblo tribes. While Hopi Kachina dolls are not worshipped, many believe if they are treated with respect, the spiritual power will be used for good. 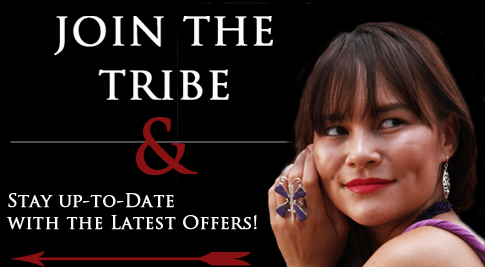 To own an important piece of Native American history and artwork, browse our selection of Kachina dolls, and take a few moments to observe the talent of our Kachina doll makers, whose pieces pay homage to the beautiful cultural beliefs and history of Southwestern American Indian tribes. 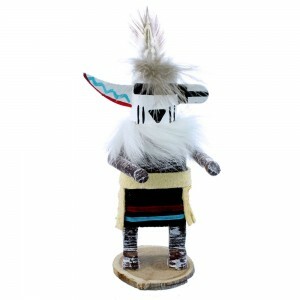 At SilverTribe, 0ur stunning Kachina dolls are offered at the lowest price and feature all the detail, fine engraving and artistry even the most demanding collectors require. 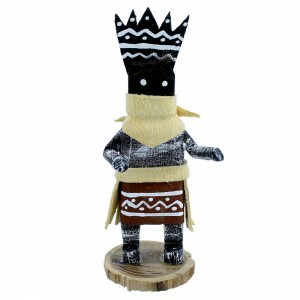 Every Kachina doll we carry has the power to become the most talked about piece in your art collection.